For a contemporary, luxury bathroom that demands the best, look no further than Keuco, whose range of modern, stylish pieces are perfect for reflecting the truly glamorous lifestyle. The Keuco Royal 35 bathroom cabinet with Lights fits in perfectly with this brief, its bold form adding a strong, minimalist appearance to the interior space. Halogen lamps provide overhead illumination, correctly angled to give the best possible use from the double-side crystal glass mirror. Opening up the unit, the interior storage spaces of adjustable glass shelves, two utensil shelves, a tumbler and shaver socket are all revealed, giving the cabinet space an added level of utility. 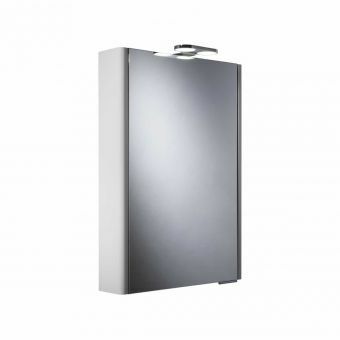 To complete the look throughout your bathroom interior, please see our range of related Keuco items. 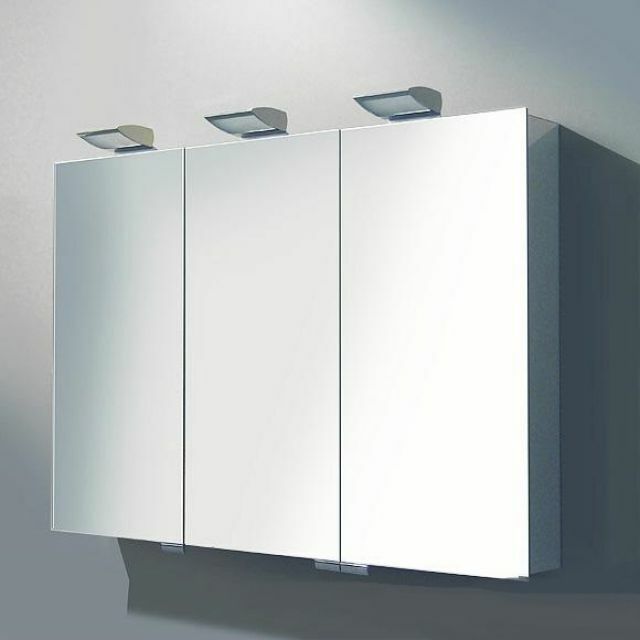 This cabinet is rated at IP44 for use in the bathroom environment.